Cut away at an angle from the ‘pommel’ allowing the user to sit with their legs closer together. 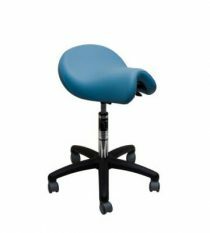 The narrow Bambach Saddle Seat features the same seating base as the medium seat. The difference being that the seat base is cut away at an angle from the ‘pommel’ allowing the user to sit with their legs closer together. The narrow seat is generally recommended for Children 14 years of age and over as well as females. 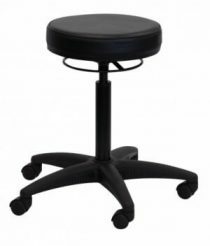 The narrow seat is an ideal choice for persons wearing a skirt or for those who are shorter in the leg. However this is a guide only. 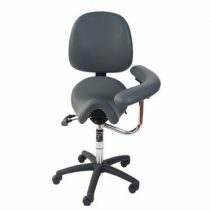 The back rest on the seat is optional being used purely as a “rest” and adjusts for height and angle. 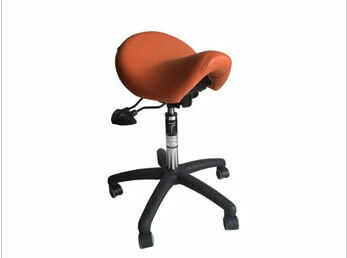 The Bambach Saddle Seat with backrest is ideal for office seating or when seated for longer periods of time. As each seat is individually made, the narrow seat can be fitted with any of our differing Gas Stem Heights and/or Castor Types depending on your desk height and the flooring type your seat will be used on.